Like Reverend McLean in A River Runs Through It, Fr. Marion Charboneau is an educated man. He is a religious man. And he’s a fly fisherman. Born in 1971 to Donald and Joyce Charboneau in Ann Arbor, Michigan, Marc Charboneau was the seventh of eight children. His formative years were spent in Council Grove, Kan., after his family moved there in 1978. While pursuing his master’s degree, Marc had an unusual conversion experience. “I was doing my Friday night thing at the local bar, watching an oblivious group, acting like idiots. And I had an insight: I’m right in the middle of this.” Marc went home. In Mass that Sunday, Marc decided it was time to do things God’s way. A vocations director advised him to consider the seminary. After some time in discernment, Marc entered St. Benedict’s as a postulant in 1997. “It just seemed right. The other paths hadn’t felt right. But this was the right place. God wanted me here.” He would become Br. Marion, eventually professing Solemn Vows in 2001. He was ordained to the priesthood in 2006. Not unlike others in society, monks have their hobbies, including Fr. Marion. Fly fishing takes a certain rhythm, constantly moving the fly rod from the 10 o’clock to the 2 o’clock position, trying to softly land your bait and watch a fish rise. Fr. Marion experiences a similar rhythm in monastic life. It’s a rhythm rooted in prayer, and in prayer is found strength. The foundation of all that each monk is lies in his commitment to prayer. A monk’s commitment to the Liturgy of the Hours, praying in community five times each day, best exemplifies the rhythm of monastic life. Fr. Marion, compares the rhythm of fly fishing to faith. Fr. Marion Charboneau strives to be humble in his faith. Fr. Marion Charboneau is an educated man, soon to return to teaching. 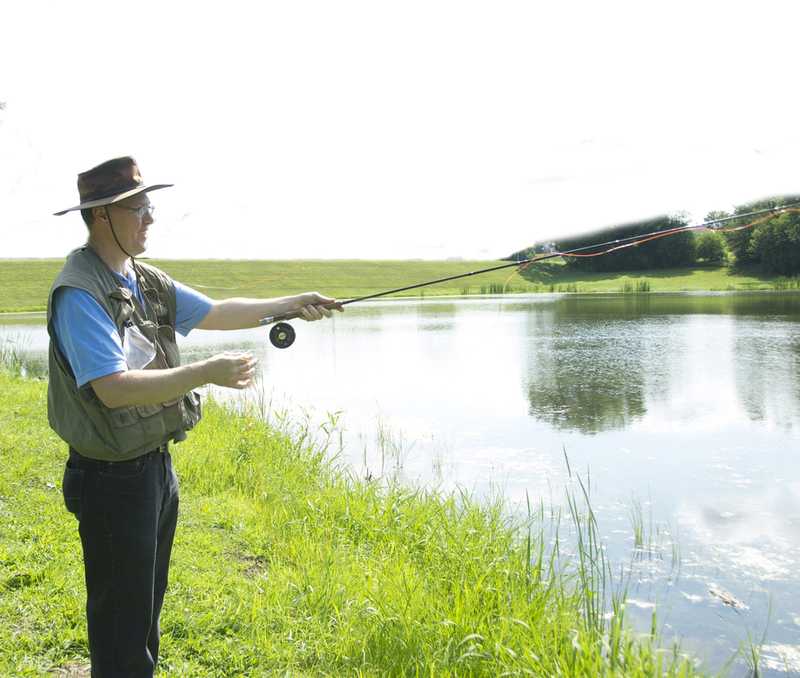 He’s a fly fisherman and priest at St. Benedict’s Abbey. If you haven’t met him personally, treat yourself by coming to the Abbey. Maybe Fr. Marion will teach you the fly cast.